Since we discussed last week the exceptional medical benefits of mastiha in the Mystiq’ line, we thought we would delve further into what that ingredient, combined with our other amazing ingredients, is actually capable of doing for your skin. 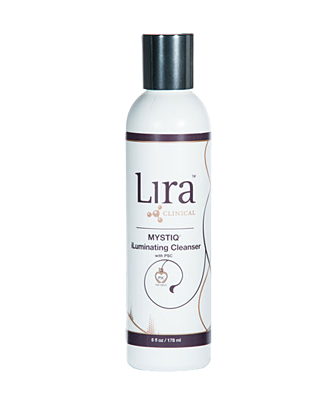 The overall goal of the Mystiq’ line of products is to repair your skin. Whether it be dark spots, blemishes, wrinkles or whatever else the day to day wear and tear of your busy life has done to your skin, the wonderful advances we have brought to you in our Mystiq’ products can help. The iLuminating cleanser is the first in this line of products because is what you would use most often on a daily basis. This is a creamy, hydrating, and rejuvenating cleanser that not only removes makeup but also the environmental debris you may have accumulated in your pores throughout the day. It is perfect for all skin types and makes skin glow with its intense lightening agents. It actively reduces pores while rehydrating and soothing skin with age-delaying antioxidants that will leave your skin feeling fresh and reinvigorated. The purpose of the iLuminating Polisher is to brighten your skin and make it look radiantly beautiful. Using salicylic and mandelic acids, along with shea nut shells and mastiha resin, the polisher gently exfoliates dead skin leaving you with more vivid, healthier skin. It’s wound healing, rejuvenating properties make this product a must for those of you that get peels regularly. Use the polisher 72 hours after a peel to speed the healing and enriching steps in the process. Use this product around 2-3 times a week for your best results. The Lifting Masque is used tighten skin and make it look as young and bright as ever. It actively tones and lifts skin giving you the luminous, hydrated skin you’ve always wanted. 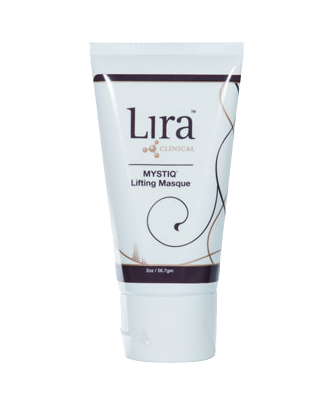 Using antioxidants as well as gold and silver, the Lifting Masque will give your skin a new sense of youth. This product is a must have for your back bar as it will help keep your skin tight and wrinkle-free. Just apply a thin layer for 10-15 minutes 2-3 times a week and you will have fresh youthful skin before you know it. Of all the places on your face that visibly show the aging of your skin, under and around your eyes is often most noticeable. 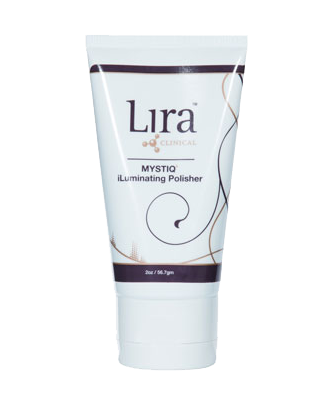 This is why Lira Clinical included the Perfecting Eye Crème in the Mystiq’ Line. As we mentioned before, the goal of the Mystiq’ Line is to recover, and that is exactly what the Eye Crème does to the dark circles and crow’s feet that appear naturally over time. It utilizes tightening peptides that produce botox-like results without ever picking up a needle. It reduces puffiness, lightens dark spots, reduces wrinkles and firms your skin leaving the highly stressed area around your eyes looking new. Last but certainly not least is the Intense C15 Booster with Plant Stem Cells (PSC). Vitamin C makes up 15% of this revitalizing crème which promotes the general health and beauty of your skin. This is a great compliment to any home care program as it heals and tightens skin using high concentrations of antioxidants without causing any annoying irritation or redness. The plant stem cells used in the booster strengthens skin and makes it more taut and vibrant. 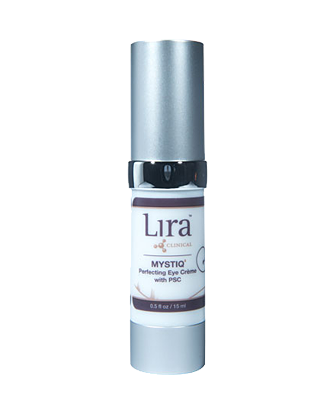 It actively reduces pores and stimulates collagen, perfectly rounding out the Mystiq’ Line’s overall purpose.